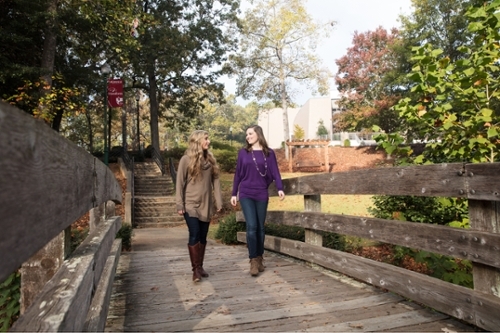 Recognizing the major investment students and families make when choosing a private college, LaGrange College works with you to provide scholarship and other financial aid. Nearly 100 percent of LaGrange students receive some combination of financial awards. 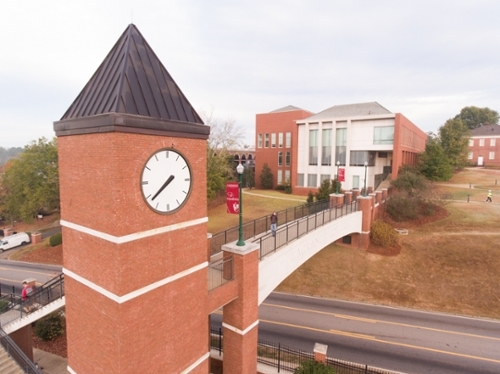 The GPA used to determine academic scholarship eligibility is recalculated by LaGrange College based on college prep subjects earned in grades 9 through 12. Scholarships cannot be combined or stacked. Students must be admitted to and attend LaGrange College in order to receive any scholarship. For entering, full-time, first-year day students only. Eligibility is determined by a combination of grade point average and test scores. Typically, recipients of the Gateway Scholarship have an SAT combined Evidence-Based Reading and Writing plus Math score of 1000 or higher (or ACT composite score of 19 or higher) and a cumulative high school GPA of 3.0 or higher. Renewable with a 2.0 or better college GPA. For entering, full-time, first-year day students only. Eligibility is determined by a combination of high school reported cumulative grade point average and test scores. Typically, recipients of the Hilltop Scholarship have an SAT combined Evidence-Based Reading and Writing plus Math score of 1070 or higher (or ACT composite score of 21 or higher) and a cumulative high school GPA of 3.2 or higher. Renewable with 2.0 or better college GPA. For entering, full-time, first-year day students only. Eligibility is determined by a combination of recalculated high school grade point average and test scores. Typically, recipients of the Tower Scholarship have an SAT combined Evidence-Based Reading and Writing plus Math score of 1140 or higher (or ACT composite score of 23 or higher) and a recalculated cumulative high school GPA of 3.5 or higher. Renewable with 2.5 or better college GPA. For entering, full-time, first-year day students only. Eligibility is determined by a combination of recalculated grade point average and test scores. Typically, recipients of the Founders Scholarship have an SAT combined Evidence-Based Reading and Writing plus Math score of 1180 or higher (or ACT composite score of 24 or higher) and a recalculated high school GPA of 3.7 or higher. Renewable with 2.5 or better college GPA. For entering, full-time, first-year day students only. Eligibility is determined by a combination of recalculated grade point average and test scores. Typically, recipients of the Fellows Scholarship have an SAT combined Evidence-Based Reading and Writing plus Math score of 1300 or higher (or ACT composite score of 27 or higher) and a 3.9 recalculated cumulative high school GPA or higher. Renewable with a 2.5 or better college GPA. Judges select recipients of this scholarship. Two Presidential Learning Scholarships will be awarded annually, and contestants will be chosen from among the most academically gifted applicants for admission. 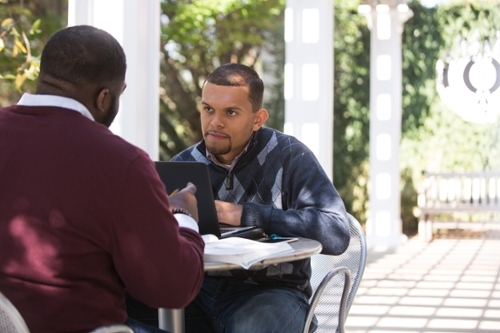 New, first-year students admitted by January 15 who qualify for a Founders or Fellows Scholarship may be invited to compete for a Presidential Scholarship. High school seniors interested in being considered for the scholarship must apply for admission no later than January 1 of their senior year. Successful candidates will have completed a strong college preparatory curriculum and show evidence of an exceptional record of leadership or service to school, community or church. Renewable with a 3.25 or better college GPA, the Presidential Scholarship supersedes all other LaGrange College scholarships and aid. Judges select recipients of this scholarship. Two Presidential Learning and Living Scholarships will be awarded annually, and contestants will be chosen from among the most academically gifted applicants for admission. New, first-year students admitted by January 15 who qualify for a Founders or Fellows Scholarship may be invited to compete for a Presidential Scholarship. High school seniors interested in being considered for the scholarship must apply for admission no later than January 1 of their senior year. Successful candidates will have completed a strong college preparatory curriculum and show evidence of an exceptional record of leadership or service to school, community or church. Renewable with a 3.25 or better college GPA, the Presidential Scholarship supersedes all other LaGrange College scholarships and aid. *You must be clearly admitted to LaGrange College (with no academic conditions) and enroll in order to receive any of the scholarships listed. Scholarships cannot be combined or stacked. Funded through the generosity of alumni and friends of the college, Departmental Awards have been received by students in Art, Music, Theatre and Nursing. Students who intend to major in specific areas may obtain applications for available Departmental Awards through the Office of Admissions. Students who receive an academic scholarship may not always qualify for departmental funds as well. Funded by the United Methodist Higher Education Foundation. Awarded through churches that raise $1,000 per each individual member-student attending or planning to attend a United Methodist college. LaGrange College’s participation in the Triple Your Dollars program may provide an additional $1,000, for a total of $3,000 from all sources. Conferences participating in the Quadruple Your Dollars program may contribute an additional $1,000, for a potential grand total of $4,000. For application or more go to www.gbhem.org. Awarded to United Methodist youth planning to enroll at a UMC-related college or university. The sponsoring church contributes $1,000 to the Higher Education Foundation and the college or university matches it. Candidates must be currently enrolled or admitted students active in a United Methodist church, have financial need and a GPA of 3.0 or higher. Awarded to currently enrolled or admitted students whose parent is an active, ordained minister in the United Methodist Church. Apply now for United Methodist Church scholarships.